had dropped from an average of 312 to 220. Morrison's control remained at their higher level (Morrison 1960). In 1956, Morrison discovered that Pritikin, then forty-one, had a cholesterol count of over 300. As such, Pritikin adopted a form of the Morrison Diet, became a vegetarian, and added intensive exercise in the form of jogging. In four years, his cholesterol was lowered to 120, and his heart function had become normal. As with many cases of dieting self-cure, beginning with William Banting, Pritikin's cure became his cause. Pritikin's self-treatment became known as the "Pritikin Diet," which was developed in the 1970s. In his book, Pritikin makes the case that the diet is "natural": "For centuries the hardiest, most long lived peoples in the world have thrived on these foods" (Pritikin and McGrady 1979: xvi). The goal of the diet plan was to provide a means for people to battle health conditions similar to those from which Pritikin suffered. 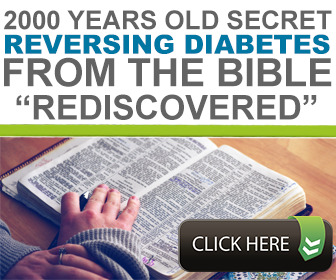 It also claimed to enable diabetics to regulate their blood sugar without the help of insulin. As such, the diet includes eating foods "low in fats, cholesterol, protein, and highly refined carbohydrates, such as sugars; . . . high in starches, as part of a complex, most unrefined carbohydrates, and are basically 'food as grown,' eaten raw or cooked" (Pritikin and McGrady 1979: 3). These claims are a fascinating mix of the rhetoric of vegetarianism and "science." In general, though, this diet falls on the side of the "fat makes fat" school of the nineteenth century, which was pioneered by Banting. Not surprisingly, foods that are highly processed such as pasta, animal protein, and white bread are not allowed. The diet prescribes mostly vegetables, fruits, grains, seafood containing Omega 3 s, lean meat, and nonfat dairy foods. It also contains less than 10 percent of daily calories from fat, and it is low in saturated fat, total fat, and cholesterol. The suggested intake of nutrients includes 5-10 percent from fat, 10-15 percent from protein, and 80 percent from carbohydrates (mostly complex carbohydrates). Exercise is also an important component of the diet: "Jogging does more for you because it stresses the heart more and makes more demands upon your heart" (Pritikin and McGrady 1979: 66). Here Pritikin follows the fad for jogging advocated by Jim Fixx (193284) in his 1977 best-selling book The Complete Book of Running. In 1976, Pritikin created the Pritikin Longevity Center in Santa Barbara, California, which later moved to Santa Monica. Since this center opened, over 70,000 people have visited to learn how to eat healthily and exercise regularly. In 1979, Pritikin also wrote a bestselling diet book with Patrick M. McGrady called The Pritikin Program for Diet and Exercise. In 1985, his son Robert Pritikin took on the task of managing the Pritikin Longevity Center after his father died that year. Robert has kept many of the same aspects of his father's "Pritikin Diet." However, over time, he also altered it as market expectations shifted. As with the older program, the new program, articulated in his 1990 book The Pritikin Principle, is based on a "science plus fitness" model. In it, Robert Pritikin stresses how close the recommendations of the American Heart Association and other health groups have become to the original Pri-tikin Diet (Pritikin 1990: 26). Yet, he also notes that his approach is "natural weight loss" (Pritikin 1990: 31). Like his father, Robert Pritikin stresses the importance of foods from plants and the reduced intake of fat: "the Pritikin diet won't assault your body the way that crash diets do. A low-fat diet high in unrefined carbohydrates and fiber enables you to reach your ideal weight by shedding pounds gradually but steadily" (Pritikin 1990: 43). 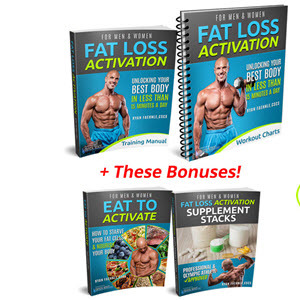 This approach answered the extreme popularity of the Atkins' high-protein/fat diet. To stress the difference, he added a new concept called the Calorie Density Solution. Robert Pritikin argues that the density of calories in different types of food is very important in losing weight. 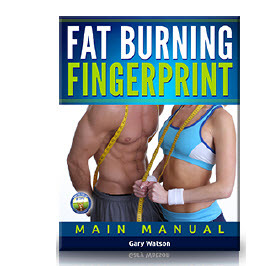 He claims that eating more foods with fewer calories per pound will help people lose weight. The Pritikin diet remains one of the gold standards for American dieting success. While numerous medical studies have documented the success of the Pritikin diet, its impact has been equally felt in the athletic and fitness communities. The London Business Times recently called the diet program "arguably the most effective diet, exercise, and lifestyle-change program in the world" and, one can add, one of the most visible.